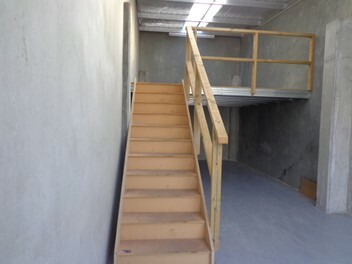 This is a very secure unit with a mezzanine floor and storage shelves in a storage park in Wigram in a quiet area. It has access to the shared kitchen/bathroom and meeting facilities. It is alarmed and has an electric roller door and has lots of power plugs. The entrance and exit gates are both operated by remote control also.